There are currently 4,706 users on this website. I am advised that the Jumelle: "...was in fact a much smarter machine than those in your magazine. It consisted of seven photogravure units plus one recess (intaglio) unit which had three inking units (for three different colours of ink on the same design). It had a rotary perforator at each end, together with a sheeter and an unwind reel-stand also at each end. The machine drive could be split at any point along the line of gravure units so it could run 2 colours (1 colour definitive + phosphor) at one end at the same time as up to 4 colours + phosphor + 3 colours of intaglio at the other end. It could do reel to sheet at both ends and reel to reel (for definitives to be inserted into books) by running from one end to the other. Each gravure unit had electrostatic assist to aid ink transfer and reduce 'speckle', a common fault with low pressure gravure units. Each gravure unit had its own drier, as did the intaglio unit. 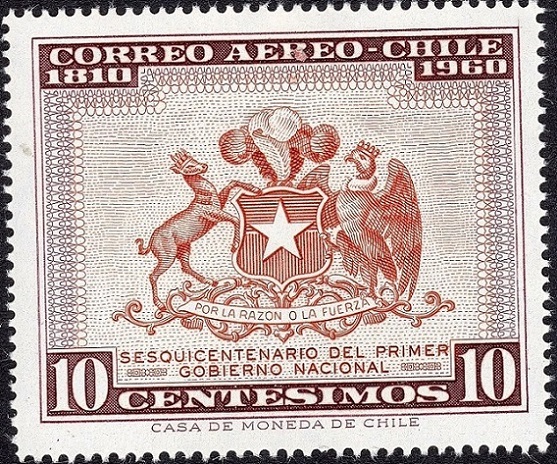 The machine was designed and supplied by De La Rue-Giori and assembled by Koenig & Bauer at their factory at Wurtzburg in Germany. The gravure units were supplied to them by Andriotti of Ciprano, Italy. (Koenig & Bauer now own DLR-Giori). " I hope Glenn will add more to this! Yes, it is the 1961 booklet and it does mention some printing problems and errors. press as mentioned in the first post of this thread. 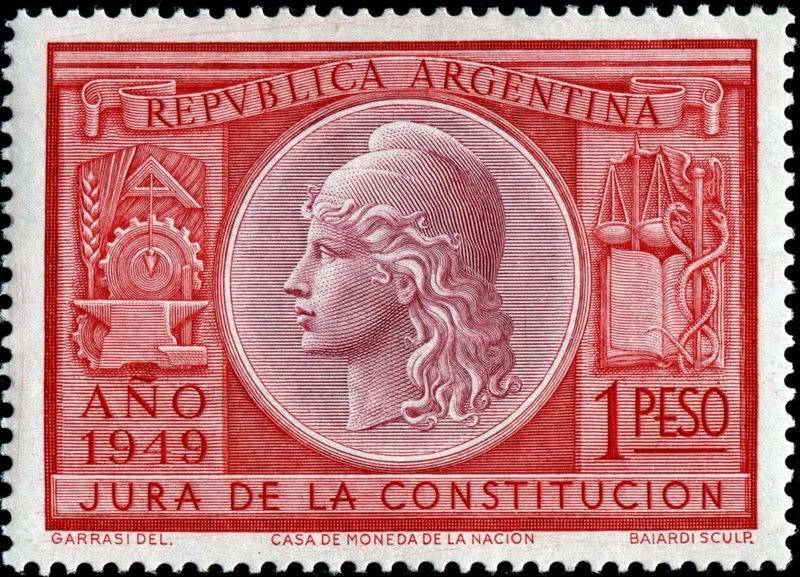 saw this beautiful nethryk scan of Argentina Scott 585. Florian posted in another thread the following. by Koenig & Bauer based on the Giori process. 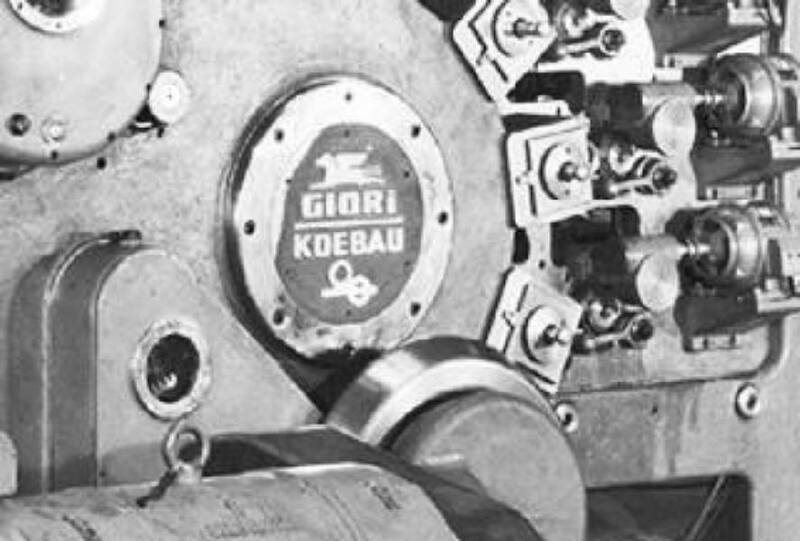 In 1952, Organisation Giori signed a co-operation agreement with Koenig & Bauer entrusting them with the production of the security printing machines. name is on the press. I wonder if anyone can please tell me where this dummy stamp might have been printed? Logic says maybe Lausanne, home to DLRG, but the designer and engraver are, I understand, Austrian or maybe German. 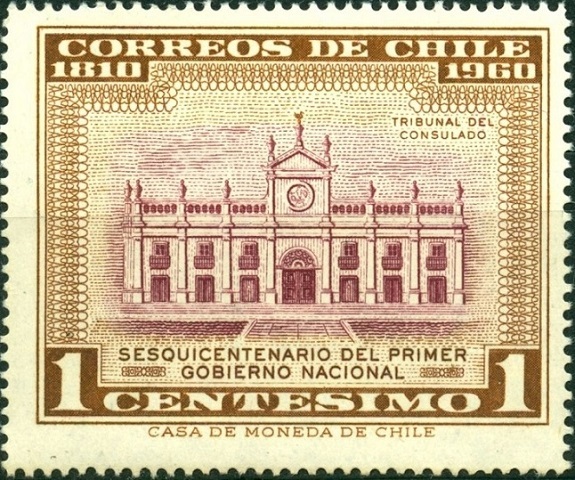 Issued: Circa 1968, apparently (not confirmed). 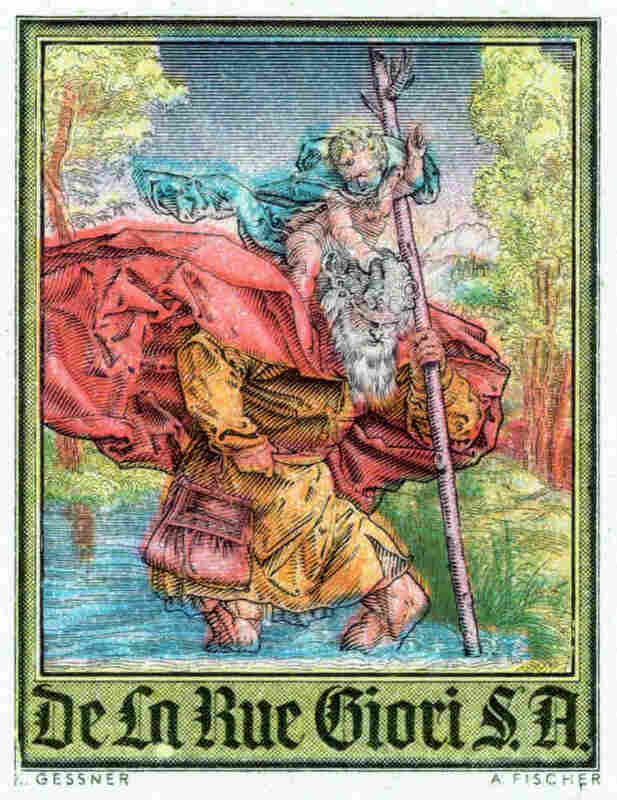 I have identified the design as being a woodblock entitled "St Christopher Carrying the Infant Jesus", by Albrecht Durer in 1511. Any help whatsoever appreciated! And does anyone know of any other DLRG dummy designs, please? 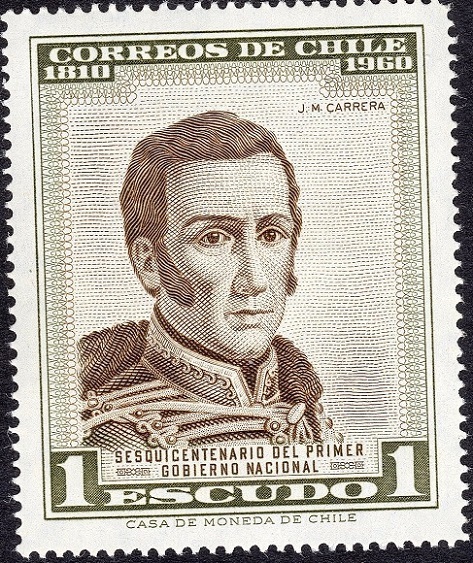 Gessner, Prof. Karl �sterreichischer Briefmarkenk�nstler, geboren am 31. Mai 1909 in Wien. Offenbar war es also bisher nur Vorarlberg, das sein Landeswappen auf keiner eigenen Marke vorfinden kann. Doch das L�ndle mag sich tr�sten: zusammen mit den Wappen aller anderen Bundesl�nder erscheint das Montfort'sche Banner richtig dargestellt im Gedenkblock "1000 Jahre �sterreich", der am 25. Oktober 1976 ausgegeben wurde. An der Zeichnung der Landeswappen und des Bundeswappens von Karl Gessner, einem Lithographieexperten der Staatsdruckerei, der schon die FIS-Serie 1936 nach Fotos geschaffen hatte, ist nichts auszusetzen. Das vorliegende Markenmotiv zeigt das anl��lich der Hundertjahrfeier entstandene viergeteilte Wappen der Hochschule. Es wurde von Karl Ge�ner, einem Grafiker der Staatsdruckerei, geschaffen. Prof. Karl Gessner also designed a number of stamps for Liechtenstein, such as the 30 Rp. 1973 Madonna, 10 Fr. 1974 Duke & Duchess, 1 Fr. 1977 Rubens, printed by �sterreichische Staatsdruckerei, Wien combining photogravure/engraving. 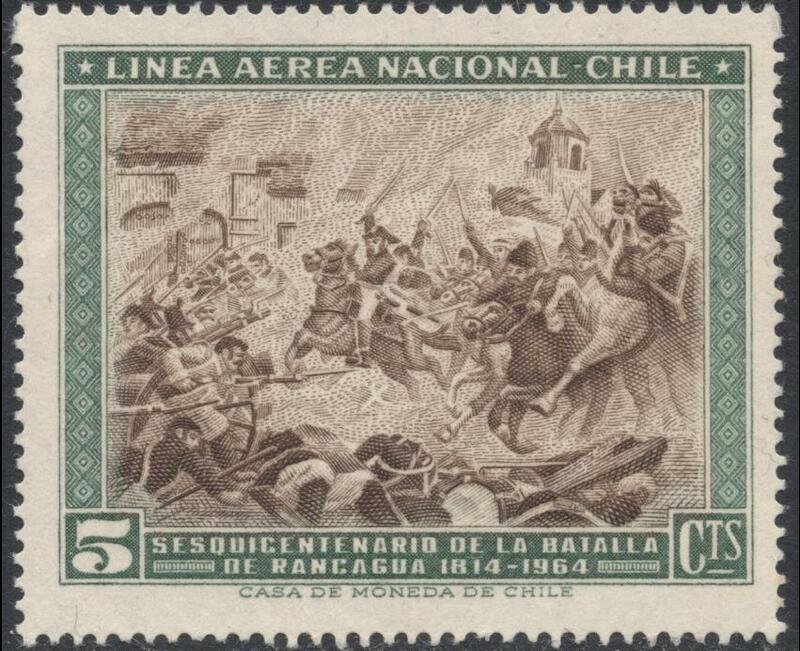 Alfred Fischer's first engraved stamp was issued in 1965 and his last in 1980. In between he did some fine work. So much so far if this can be of any help to you. Florian: Many thanks for the time that you spent on my query. I am a big fan of Alfred Fischer's work. I wonder whether the dummy stamp may be a production of the Staatsdruckerei, Austria? Although I have yet to ascertain whether they were a user of a DLRG supplied press. I understand that the Bureau of Engraving and Printing USA was the first to buy a DLRG press designed specifically for web-printing of postage stamps and that was around 1975, so perhaps the dealer-quoted date of c1968 is too early for the sample! 65170 - Glenn, my pleasure. Another design by Karl Gessner, based on Albrecht D�rer's work "Jesus as Redeemer", but engraved by A. Nefe, was produced by photogravure and engraving in 1971. See Stanley Gibbons AT 1629. Have a great time at Europhilex. this Austrian dummy stamp was printed by the "OeSd" in direct recess + photogravure!? 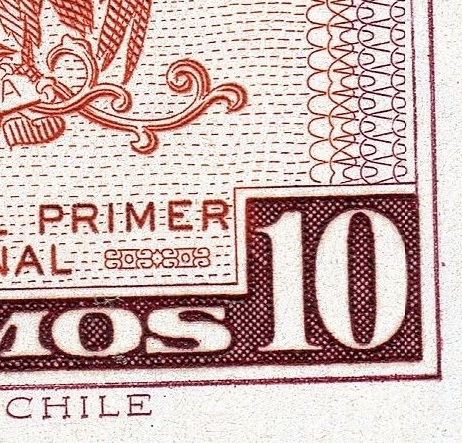 In the late 50s the Chilean Mint acquired a De La Rue press-Giori process, mainly for the printing of banknotes. 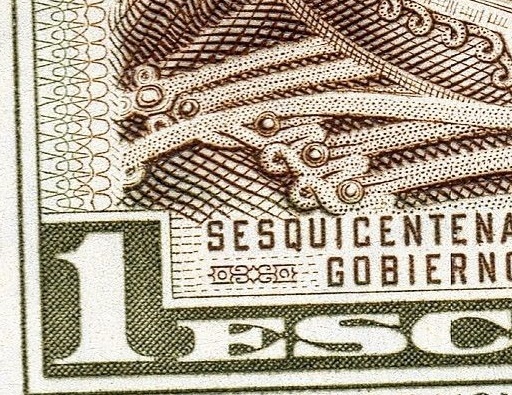 The "Dummy" stamp has at least 4 colors, however I find the overall execution to be blurry and smudgy. Kind of like a an old Children's book illustration.